Buy a GNGG Shirt from Lands End! You can now purchase a Greater Newark Girls Golf shirt! 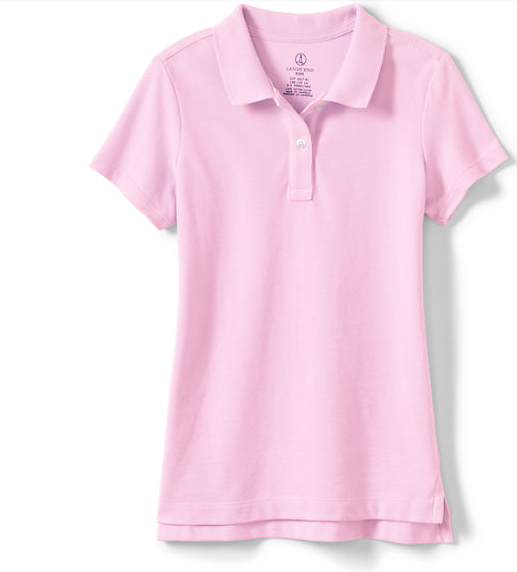 It will be pink with our logo and look fantastic on you! You can order directly from Lands End! For children's sizes ONLY please call this number: 1-800-338-2000 and mention the GNGG Customer Number: 6948718 to get all the help you need. For all adult sizes, please click the link below. You must join annually to be a National Member of the Girls Golf Association before you are eligible to sign up with us at a local level. If you have not already done so for the year, please click the link below to join for 2019! Girls who register online by the deadline dates of March 31 and June 1 will receive their membership gift from their local chapter three weeks after that date. Once you are a National member, fill in the form below and register with us at the local chapter. Then you can register and pay for your clinics on the drop down menus. See instructions below. You must register with the local chapter to be accepted for any clinics. Join the Greater Newark Girls Golf local Chapter to keep informed on local events, tournaments, clinics and events! Communications regarding special events, scholarships and other Girls Golf opportunities will not be received by girls that are not registered. Your girls could be missing out on a lot of valuable information!! Just fill out the simple form and we will send you updates. Then drop to the bottom of this page and to sign up and pay for clinics. Once you have registered above for GNGG membership, select GNNG Clinic Registration on drop down menu and complete the form, then click on the clinic you want. If you plan on attending the entire season, select Full session. All registration payments must be made online via Pay Pal. Registration and registration fees will not be accepted at the course.